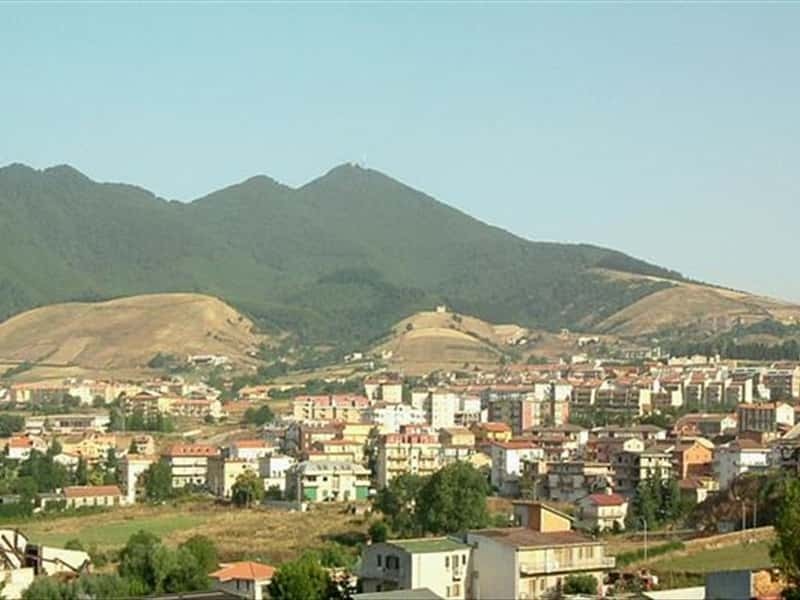 Town in the province of Potenza, situated in the hills southeast of the Vulture, not far from the borders with Campania and Puglia, Rionero in Vulture is known in Italy for the healthy properties of its mineral waters and for the production of excellent wines (Aglianico del Vulture and Moscato bianco) and DOP olive oil from the Vulture . The name probably derives from "Rivo nigra (black creek), due to the source of the spring between rocks of volcanic tuff. Archaeological excavations have unearthed a necropolis of the IV century B.C., a Roman aqueduct and a thermal spa-farming settlement of a few centuries before Christ. The feud is first mentioned in a document of 1152 and then in another of 1277. In the early XIV century, due to the exorbitant taxes on pasture, the town was abandoned by its inhabitants, that moved into the fief of Atella. The town was repopulated by Albanian farmers in 1533. Severly damaged by the earthquake of 1694, it was rebuilt by the Princes of Caracciolo. - The Clock of the Costa, in the district with the same name. This town web page has been visited 35,218 times.